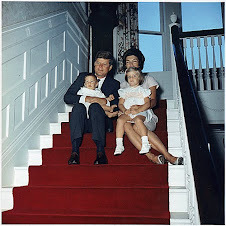 Justice For Kennedy: Why is this material not going to the JFK Records Collection at Archives II? 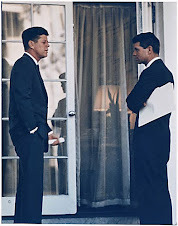 Why is this material not going to the JFK Records Collection at Archives II? 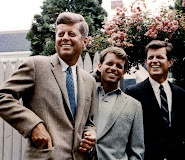 A little more than two years ago, when Dallas County District Attorney Craig Watkins announced that 15 long-hidden boxes of materials relating to the Kennedy assassination would go to the Sixth Floor Museum at Dealey Plaza, it seemed like a big win for the local team. Sixth Floor officials say they are still waiting to collect the prize. "We still don't have them," said museum spokeswoman Deborah Marine. "As far as I know, nothing has been finalized about when we might get them." 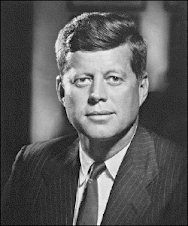 When asked about the documents related to the assassination of President John F. Kennedy, Jamille Bradfield, Marine's counterpart in Watkins' office, sent a brief e-mail: "Regarding the status of our donation, the district attorney's office has made a commitment to the Sixth Floor Museum to donate the JFK memorabilia and we anticipate it will become part of the collection in the museum's new reading room." The reading room, which will allow researchers easier access to museum documents, is scheduled to open next month on the first floor of the former schoolbook depository. Bradfield did not explain why the transfer had taken two years, other than saying that timing the donation to coincide with the opening of the reading room "couldn't be more perfect." Marine said museum officials would be delighted to finally be getting the materials and were not bothered by the delay. "It sometimes takes at little bit longer to prepare something like this," Marine said. Besides, officials already know what's in the boxes. Marine noted that The Dallas Morning News posted the entire collection online within a week of Watkins' original announcement in February 2008. His announcement of the existence of the boxes, which had been stored in an old safe in the courthouse for decades, stirred nationwide attention at the time. The memorabilia was gathered by the legendary Henry Wade, district attorney at the time of the assassination, and kept from public view by his successors. The boxes included some of Wade's personal correspondence, official records from the Jack Ruby trial, and letters and photographs of both Ruby and alleged Kennedy assassin Lee Harvey Oswald. Most intriguing was what appeared to be a transcript of a conversation between Ruby and Oswald plotting to kill the president at the Mafia's behest. The "transcript" was quickly identified as part of a script for a proposed movie that Wade briefly supported. The movie was never made, but the story of its stillborn production was the most interesting revelation in the unearthed materials. The initial reaction to Watkins' announcement was a spirited competition between the Sixth Floor Museum and supporters of the National Archives to be the final repository for the materials. When Watkins announced the materials would stay in Dallas, it was interpreted as a victory for a respected local institution. By that time, however, there already were doubts about how significant the collection was. Although Watkins predicted at the time that the collection "will open up the debate again about whether there was a conspiracy," researchers and conspiracy theorists who studied the documents were mostly unimpressed. One amateur researcher, Steve Thomas, who posted extensively about the files, said at the time that they added some insight into Wade's view of the Ruby trial, but otherwise contained no revelations. "If you're looking for a smoking gun," he said, "you're not going to find it."